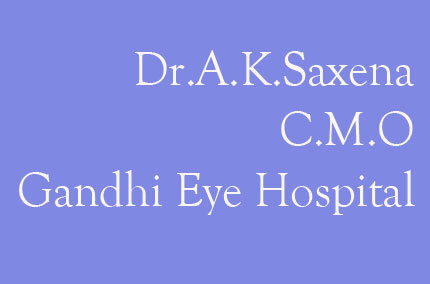 Gandhi Eye Hospital was established as a small clinic in 1928 by Padmashree Dr. Mohan Lal Unitiring efforts, hard labour with an eye on future the clinic slowly took a shape of a large hospital having 1000 beds spread in an area of 50 bigahs of land. Presently the building consists of 6 general wards with a capacity of 600 beds 100 special private wards. Main building houses special clinics and rooms for pathology bacteriology and other labs including a small complex for photography. The hospital became internationally known and also started post graduate teachings in ophthalmology in affiliation with Aligarh Muslim University in 1952. The hospital is also running D.N.B. 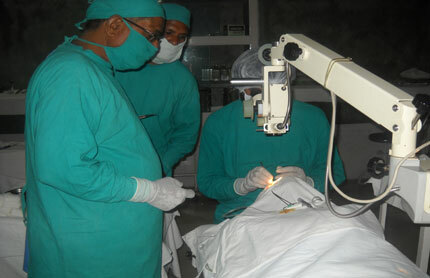 Post graduate training programme in Ophthalmology since 1997-1998 in affilation with National Board of Examination . 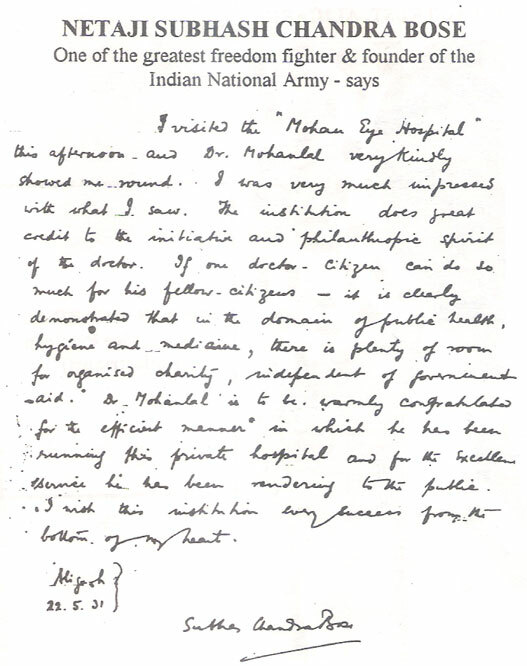 The Mohan Eye Hospital was founded on Sixth April ,1928 by Dr. Mohan Lal, with the sole object of combating eye diseases and offering relie to all suffering from eye troubles,more particularly to the helpless and the needy whose life was threatened to be further embittered by the loss of God's greatest blessing-the vision of the eye. Mohan Eye Hospital started in a rickety dingy rented narrow house surrounded by grain shops in the busiest locality of Aligarh town.This Hospital was working on purely charitable lines, avoiding the pursuit of more money making,and treating all like ;without distinction of cast and creed,Charges were fixed and nominal just to keep the hospital running. Gandhi Eye Hospital Current Status. Currently the hospital has 12 Surgeons and supporting staff of 160 persons. Bed strength is about 700 but bed occupancy is around 200-250 due to changes in mode of treatment and quick turnover. Patients outdoor attendance is around 200-250 in O.P.D. Trust runs a School of Optometry for training paramedical which was established in 1958. it also runs a School of Orthoptics. 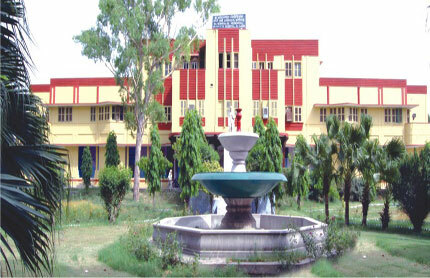 In 1998 Gandhi Eye Hospital was accredited by National Board of Examination for D.N.B. i.e. Diplomate of National Board for 3 candidate in first year and 3 candidate in IInd year. 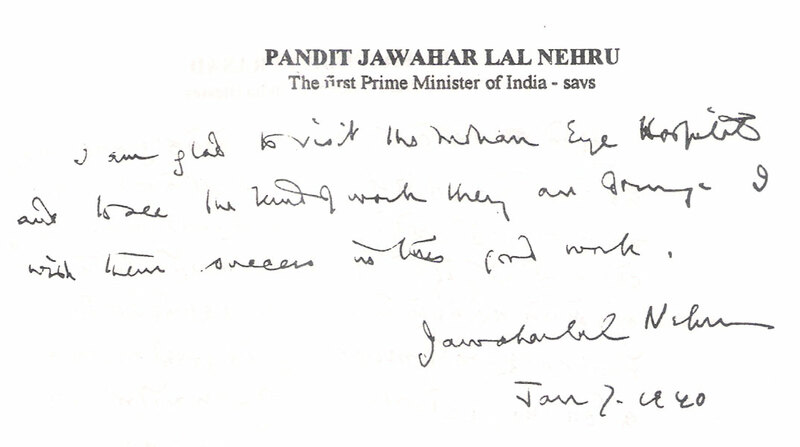 It is my pleasure to extend you a very warm welcome on behalf of myself & the management of Gandhi Eye Hospital. I believe that you are well aware of the activities of this organization. 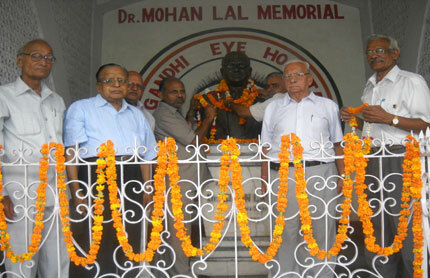 But still I feel that I may just mention that Gandhi Eye Hospital Trust was founded in 1943. Ever since its inception the organization has been engaged in providing eye care not only at the hospital but in rural areas as well the Hospital has been organizing surgical camps extensively in the state of Uttar Pradesh as well as far away as Kashmir & Assam. The Hospital has also been educating people about eye care and steps to be taken to prevent blindness. With the singular aim to provide eye care to the largest population in the State Dr.Mohan Lal the Founder of Gandhi Eye Hospital established more than dozen hospitals in Western U.P. 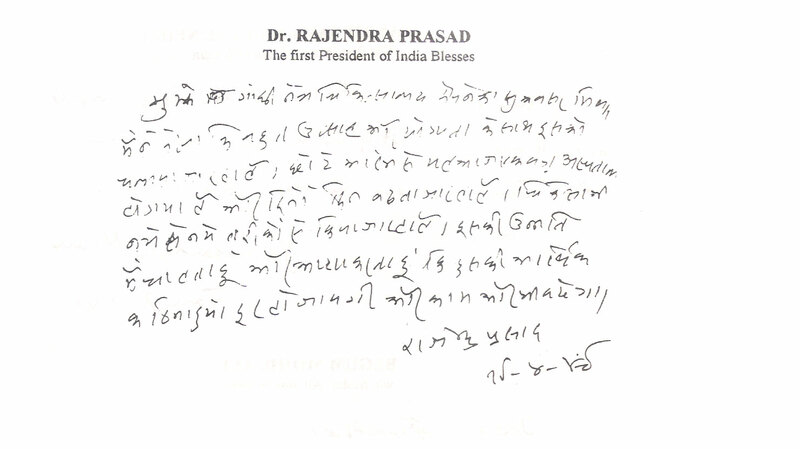 On behalf of the management of Gandhi Eye Hospital I extend you a very warm welcome. In my presentation yesterday I spoke about the foundation of this hospital and what we have been doing about eye care and prevention of blindness for last more than six decades. Our basic approach was to educate the people about eye care and not to neglect even the minor problem. In this context in addition to eye care & holding eye camps in rural areas we established branches all over Western U.P. under the technical care of this hospital. 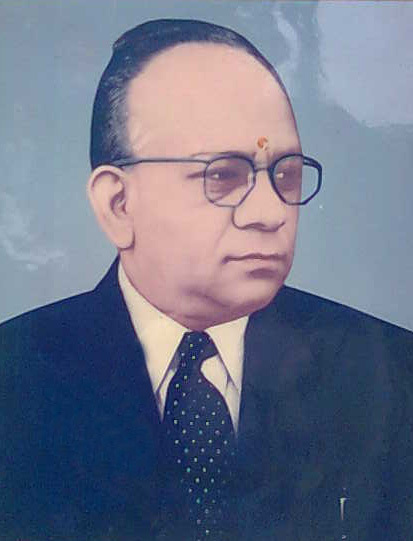 Dr. Mohan Lal also directed his attention to the rehabilitation of the blind and persuaded Aligarh Muslim University to start a School for the blind with Dr. Ishstiaq Hyder as its first principal. Dr. Ishtiaq Hyder retired from the blind school and formed a voluntary organization for training and adjustment of the blind in association with the National Association of the blind. But Mr. Rao, you have rightly focused on the eye care of children which did not receive the special attention it deserves so far. In fact the prevention of blindness starts from the very infancy. Even the slight negligence can lead to uncared eye problems which may sometimes become a severe handicap or even lead to blindness. We can play a yomen role in preventing blindness by providing proper eye care from the very childhood. .